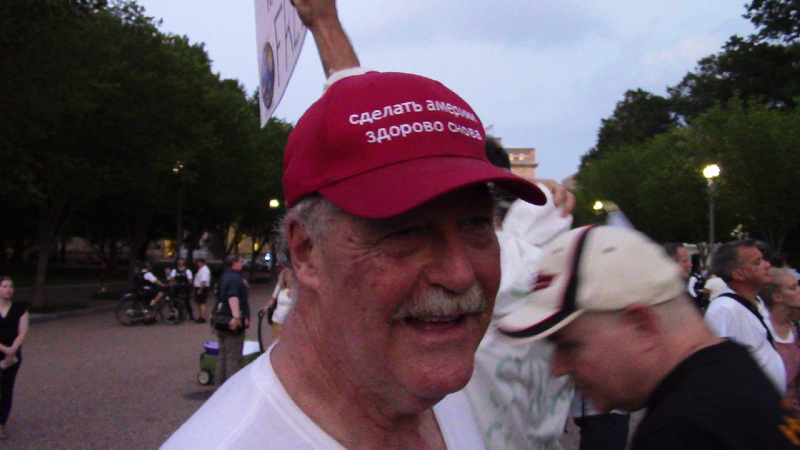 On the 6th of August, Rosie O'Donnel and cast members from several Broadway musicals took a 5 hour each way bus trip to DC to perform at the ongoing protests for impeachment in front of the "Kremlin Annex." The biggest crowd yet at OccupyLafayettePark gathered for this singalong protest. OccupyLafayettePark is now in its 4th week of demanding the impeachment of Donald Trump for soliciting Russian help to hack and steal the 2016 election. 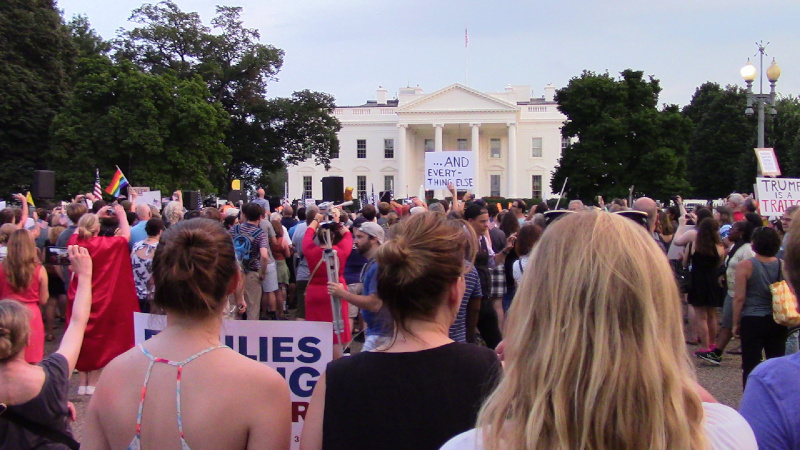 Trump's July 18 joint press conference with Vladimar Putin triggered the protests, which have been at the White House every night since then starting at 7PM. In addition, OccupyLafayettePark is calling on their participants and supporters to participate in defending Lafayette Park (their TURF) from the neo-Nazi trash responsible to Charlottesville on August 12.